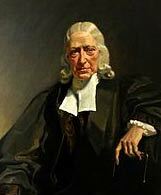 John Wesley (1703-1791), Prolific English preacher and founder of Methodism. Wesley travelled extensively preaching the message that everyone could have a relationship with God. John Wesley was born in Epworth, Lincolnshire, in 1703. His father was a rector, and John was brought up in a deeply religious atmosphere. At the age of five, he was rescued from a burning rectory which left a lasting impression on him of the grace of God. Yet, at Charterhouse school, he was traumatised by bullying from other pupils. This contributed to a self-doubt which lasted through his life. In 1735, Wesley and his brother Charles sailed to Savannah in Georgia, America to become the minister of a new parish. On his voyage, Wesley became deeply impressed by the calm faith of the Moravian settlers. When a storm terrified the passengers, Wesley noted how the Moravians remained calm singing their hymns and praying. This encouraged him to look more deeply at their religious practises and piety. However, Wesley left Georgia under a cloud after a relationship with a woman turned sour. She claimed Wesley had promised to marry her, but Wesley had broken off the relationship. Wesley was tried for breaking his word; this resulted in a mistrial, and, after this experience, he left America to return to England. Back in England, Wesley became a noted preacher in the Anglican church. He admired the evangelist George Whitefield who gave powerful sermons in the open air to people excluded from Church. After an initial reluctance, Wesley also began offering outdoor sermons, seeking to appeal to a wider range of ‘sinners’ than catered for by the traditional church. Wesley became one of the most prolific preachers and travellers of all time. He continually travelled around the country, offering sermons where-ever people would receive him. If he was invited to speak in a church he would, if not he would speak in the open air. It is estimated by Stephen Tomkins that he “rode 250,000 miles, gave away 30,000 pounds, . . . and preached more than 40,000 sermons. Wesley taught a simple doctrine of encouraging people to confess their sins and use the traditional methods of grace to sanctify the believer. A notable aspect of his philosophy was teaching that everyone could experience the love of God in this lifetime – if they were sincere in their practice. Wesley helped to propagate the idea of a personal relationship with God – rather than the rather aloof idea suggested by the traditional High Church. Wesley was also convinced of the importance of Holy Scripture. He linked all his teachings to the Bible and saw the Bible as the ultimate authority. Although Wesley remained an Anglican all his life, his radical teaching and way of meeting the poorest sections of society raised the suspicion and opposition of the established church. In particular, they feared Wesley was fermenting social unrest through reaching out to the poorest and underprivileged. 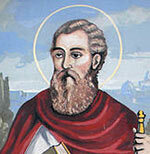 Some claimed he was trying to re-establish Catholicism. Wesley certainly never preached any kind of social revolution or return to Catholicism, but, it was easy to lay such charges and make life difficult for his burgeoning movement. In 1784, Wesley also started ordaining preachers with authority to administer the sacraments. This put him at odds with the Anglican church which believed only bishops could ordain ministers. However, Wesley felt that from a close reading of the King James Bible, the idea of apolistic succession practised by the church wasn’t actually based on scripture. Wesley also attracted criticism for his early rejection of slavery. He was an ardent abolitionist.”Liberty is the right of every human creature, as soon as he breathes the vital air; and no human law can deprive him of that right which he derives from the law of nature.” “Thoughts Upon Slavery,” (1774). Citation: Pettinger, Tejvan. 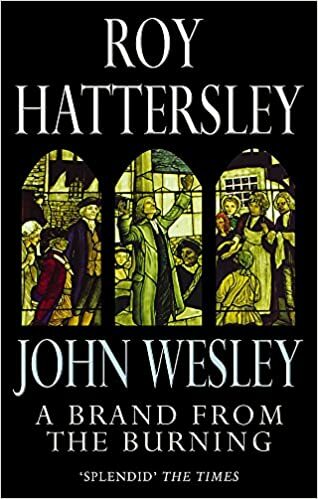 “Biography of John Wesley”, Oxford, UK – www.biographyonline.net. Last updated 3rd August. 2014.